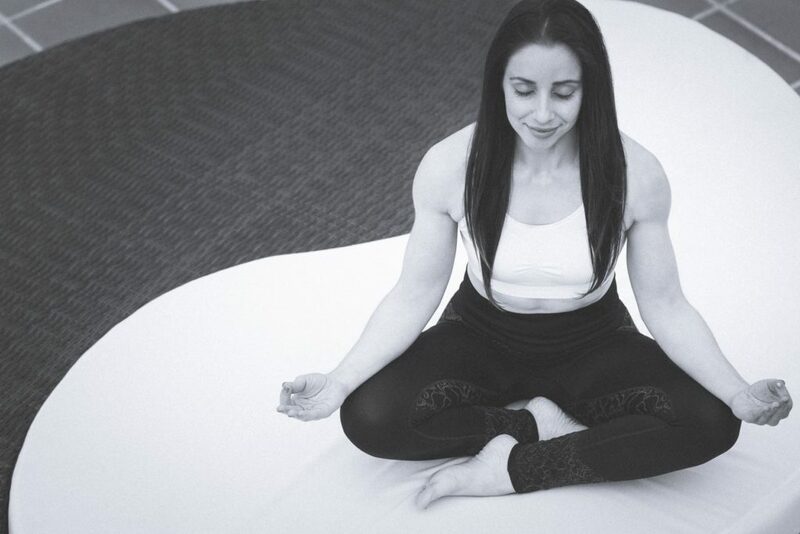 Home / Blog / Fitness and a Healthy Mindset in 2019- Top 5 Tips from Tsuki Harris! With the new year, many of us focus on just working out, or eating less bad foods. However, it’s also important to implement a healthy regime and keep a clear and healthy mindset when trying to achieve your goals. In this blogpost, one of our inspirational brand ambassadors, Tsuki Harris is sharing her top 5 tips of how to start the New Year on the right foot! Read Tsuki’s tips below! Move more– Find something you love to do. Whether it be the weights at the gym, group fitness classes, walking, running, playing sports or even the gardening. It’s not always about those weight loss & performance goals; moving more at any level has benefits. It can be super social, give you mindful alone time, cut stress, build confidence and improve your heart health & quality of life. Eat well- Just like fitness you have to choose what works best for you. Food is whatever you want it to be… fuel, social, pleasure, a way of changing what we have on the outside & a way of protecting what we have on the inside. There is no good food or bad food…only food & you always have a choice. Try to eat more plant based foods which are full of phytonutrients; a chemical compound within plants that have antioxidant & anti inflammatory properties. Seek out real, unprocessed foods with ingredients you understand & no added nasties; you’ll often find this food is naturally colourful like the rainbow. You might also consider eating lower or higher calorie foods depending on your fitness goals, but whatever you choose to do; eat what brings you joy from the inside out. Sleep- Hands up who loves waking up feeling well rested & full of energy and enthusiasm for the day? Omg there is so much more to it. Your brain and body don’t just shut down; Internal organs and processes are hard at work throughout the night to repair the human machine for the next day. The quickest way to reduce our risk of illness & promote wellness is free!!! Commit to trying to find a routine that works for you… sleeping at a similar time, electronics off, lights down, a book, a herbal tea. Be kind to yourself- It’s not selfish it’s self care; how can you look after others if you can’t look after yourself?! It could be something as small as finding 5 minutes in your day to stop & take some really deep belly breaths. Perhaps treating yourself to a massage or short course in something you love. Maybe you just need to turn down that volume on that negative voice that we all have & find ways of speaking to yourself as you would a good friend. Invest in yourself! Social Media- One of the best places to find all the positive motivation, great recipes, inspiration; a place for making new friends & reconnecting with older friends…What’s not to love?! If you find yourself feeling down question how you’re using it; perhaps you’re scrolling for too long or seeing someone’s ‘best bits’ as their ‘only bits’; unfollow those who don’t make you feel joy. Remember to put that phone down every so often to be ‘in’ the present moment. Catching up with real people isn’t as convenient but is essential for us as humans; we need social interaction & it’s great for our mental health as well as our physical health. For more tips and a glimpse into the fun life of Tsuki, make sure to check out her Instagram!